Bigger may be better in some people’s books, but we love cozy cottage style that invites intimacy and conversation. These kinds of properties can be found in neighborhoods all over Dallas. In this week’s Splurge vs Steal, we’re looking at two houses that fit that description perfectly. Which one is your favorite? Now, I know that the curb appeal here comes off as somewhat meh, but I really like the look of this house. The window details, which are obscured by the bright sun, play so beautifully in the interior photography. They’re one of my favorite (albeit minor) features of this updated 1948 traditional at 5703 Anita Street. Taken down to the studs in a 2016 renovation, the two-story, family-friendly abode provides a bright, fresh interior and a surprisingly romantic backyard. With four bedrooms and three bathrooms in 2,584 square feet, it’s listed by Karen Cuskey of Coldwell Banker for $639,000. Check out the spot-on interior and backyard oasis after the jump! The Schreiber Manor renovated ranch at 4536 Mill Run Rd. one of our three featured open houses this week. 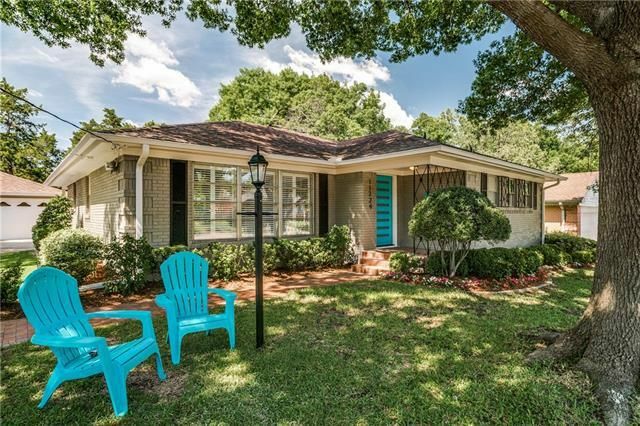 Every Thursday, we scour the listings and find three fab properties for our CandysDirt.com Dallas Open Houses of the Week post. This week, our houses range in price from $359K to $899K. 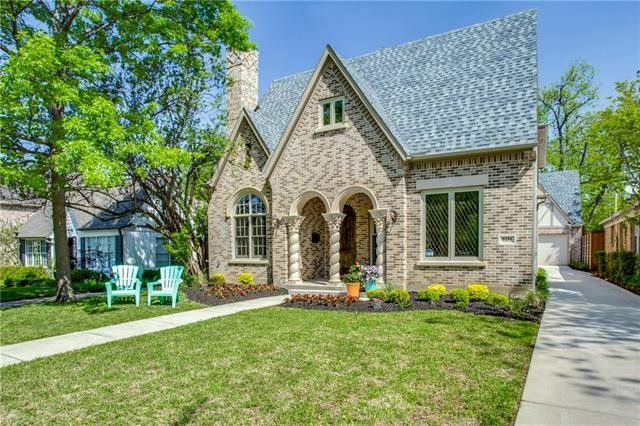 A renovated Schreiber Manor North Dallas ranch tops the roundup. You’ll also find an L-Streets beauty and White Rock Highlands custom home. Ready for a sneak peek? 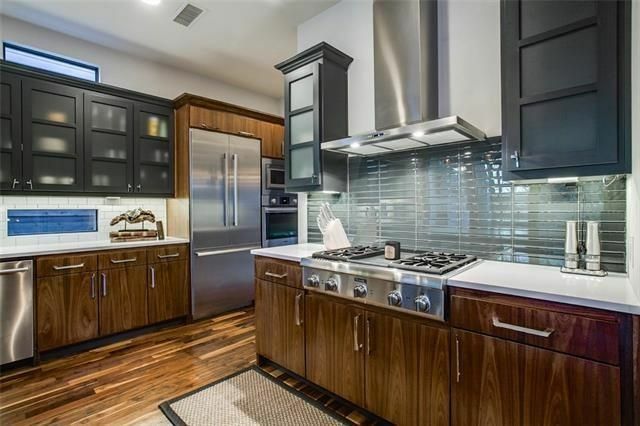 The modern Prairie-style home at 5424 Richmond Ave. is one of our five featured open houses this week. 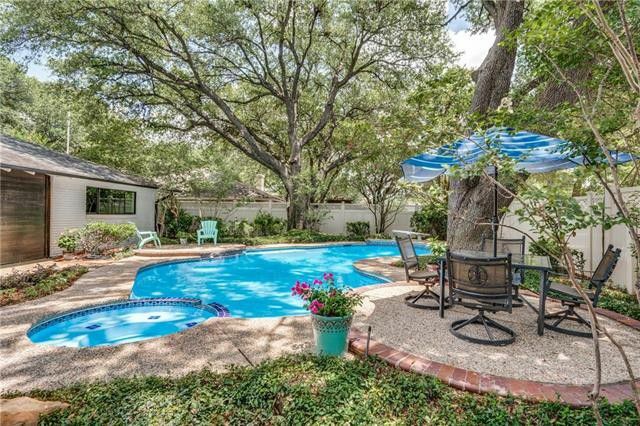 Every week, we scour the listings in North Texas and find the most amazing properties to feature in our CandysDirt Open Houses of the Week column. 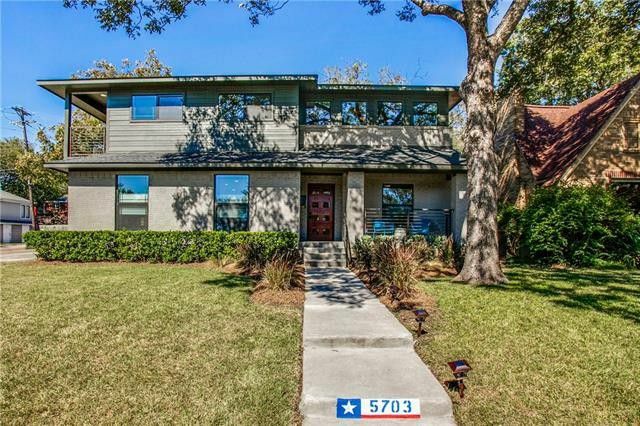 Every Thursday, we share five fabulous DFW open houses you definitely don’t want to miss. This week, our houses range in price from $450K to $999K. You’ll find a 2015 Vickery Place Prairie-style beauty (pictured above), a golf course luxury house in Richardson, and more. Are you ready to tour some properties? Let’s go! After the rousing success of our first SCHOOL+HOUSE event, I immediately started hearing from all kinds of Realtors, families, and schools about picking their neighborhoods. After compiling a list of potential schools and neighborhoods, I’m pleased to announce that the next SCHOOL+HOUSE will be in Midway Hollow on Sept. 24, from 10:30 a.m. to 12:30 p.m. It will be co-sponsored by Grenadier Homes and Hartman Terilli Group/Coldwell Banker. 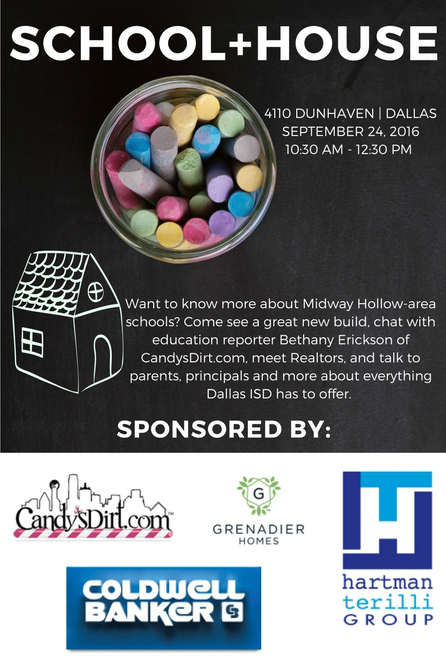 This Midway Hollow new construction by Grenadier Homes, located at 4110 Dunhaven Road will be the site for our second SCHOOL+HOUSE event. The three-bedroom, two-and-a-half bath, new construction home is at 4110 Dunhaven Road and features a study, a gorgeous outdoor entertaining area with a fireplace, and a master closet that is bigger than my first apartment. What is SCHOOL+HOUSE? It’s part traditional open house, and part meet-and-greet with the folks that can tell you everything you need to know about the schools that feed into Midway Hollow. In this case, three elementary schools (Walnut Hill Elementary, Withers Elementary, and Foster Elementary) and two feeder patterns (Thomas Jefferson and W.T. White) serve this gigantic neighborhood that is bordered by Midway Road, Walnut Hill Lane, Marsh Lane, and Northwest Highway. We’re bringing parents, principals, and other Dallas ISD folks in to answer all your questions. And, of course, Realtors will be on hand to talk inventory and needs as well. Why do we do this? Because some of the best knowledge about schools comes from the parents and principals who are there every day. They’re informed, involved, and ready to give anyone the ins and outs of sending your child to the schools in the neighborhood. Keep an eye out next week for a look at this gorgeous house Realtor Karen Cuskey has found for us, and in the meantime, pencil our next SCHOOL+HOUSE in on your calendar. You don’t want to miss this. That’s the case with our Thursday Three Hundred at 11229 Lanewood Cir. in East Dallas’ Lochwood neighborhood. This house recently got taken to the studs for a total re-imagination, and out of that emerged something stylish and on-trend. This is a three-bedroom, two-bathroom Traditional with 1,680 square feet, built in 1957. It sits on a heavily treed lot near Northwest Highway and Jupiter Road, just a block from Lochwood Park. It was listed June 10 by Karen Cuskey with Coldwell Banker Residential for $386,400.